Wine tasting can be a little bit intimidating. That is one of the reasons that we love Lorimar Winery so much. They do not only produce amazing, flavorful wines, but they are very laid back and fun. 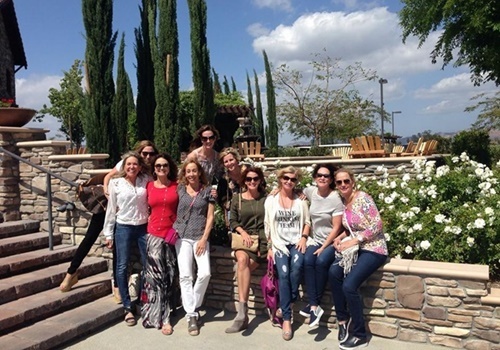 Each time our clients visited the Lorimar tasting room, they had a great time sipping wines and the staff was according to them “the best in the valley”. Most of our clients love their sparkling wines especially their 2012 Allegro - Merlot. We, at Aall In Limo & Party Bus, are specialized in wine tours and enjoy taking our clients to Lorimar Winery. This beautiful winery has breathtaking views of the Santa Ana Mountains and Mount Palomar. Guests can enjoy music on the sunset patio every weekend all year long. They can also relax by the stone fireplace surrounded by a fine art gallery, full of local artist works. At Lorimar you will find accessible wines with a fruit forward style that displays the strengths of Temecula Wine Country. The long-term dream of the two brothers-in-law Lawrie Lipton and Mark Manfield came to fulfillment when Lorimar Vineyards and Winery opened. Actually, the name Lorimar was formed by combining the first names of Lawrie and Mark. The Old Town location of Lorimar was opened in 2009 when the Wine Country property was still under construction. 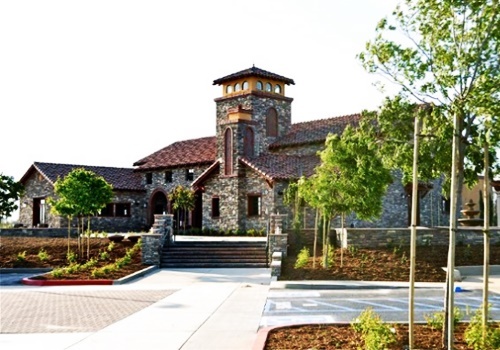 In 2012 Lorimar Vineyards and Winery celebrated the Grand Opening of their second location, a wonderful Tuscan style winery in the company of thousands Temecula guests and residents. Their first vine plantings were of Cabernet Sauvignon in 2000 and were soon followed by Syrah, Muscat, Viognier, and Sangiovese. Temecula region is 22 miles away from the ocean this means that the climate is Maritime. The soil made of decomposed granite and clay is ideal for retaining moisture reserves deep underneath the surface roots. All in all Lorimar Winery is a perfect place and can accommodate large groups of people very easily. The staff is always very friendly you can enjoy a day of relaxation in the company of your friends sipping wine on their relaxing patio. The mission of Lorimar Winery has always been to “engage all your senses” among their hand-crafted wines, a beautiful art gallery, live music and speechless views. If you are visiting or living in the Temecula area you should definitely pay Lorimar Vineyards and Winery a visit and let them test your senses! For the premium tasting – Monday to Friday you can select 6 wines from the premium tasting menu. For the premium tasting on Saturday & Sunday, you can select 6 wines from the premium tasting menu. For the reserve tasting, you can taste 6 hand-selected library wines as the staff guides you through your tasting experience. At Lorimar Vineyards and Winery you can experience wine tasting from a new perspective! For every group, there is a perfect tour, whether you are looking to relax by taking a walk in the vines with your friends or you desire to learn the entire process right from the start to finish. A charming and interactive tour that allows you to revel in the fruits of their labor literally by walking through the vines with a glass of fine wine in your right hand. The price for the Tenor Tour is $99, and reservations must be made at least 48 hours in advance. A tour guide will take you around the beautiful picturesque 22-acre estate and will describe the history of Lorimar Winery and their award-winning wines. A private 6 taste flight wine tasting experience makes this tour the crème de la crème. The price for the Tenor Tour is $149, and reservations must be made at least 48 hours in advance. We, at Aall In Limo & Party Bus, are specialized in wine tasting tours. Lorimar Winery is the most requested winery when it comes to wine tours. Most of our clients choose Lorimar Winery because of its award-winning wines, reasonable prices, and beautiful patio. Let us take care of all reservations for Lorimar Winery so that you can enjoy a classy and complete wine tasting experience! If you have not booked your limo yet, contact us today at 858-336-1894.